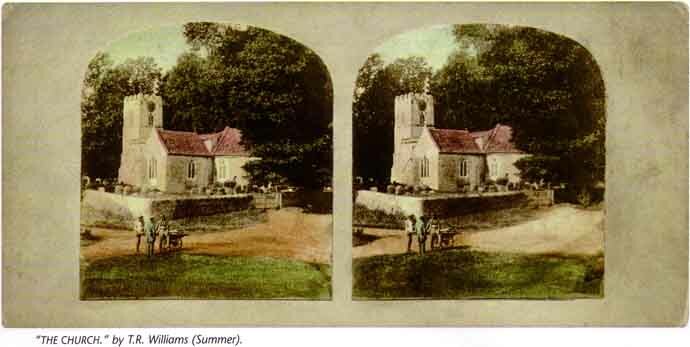 During the 1850s, an eminent Victorian photographer called T R Williams published a series of about 60 stereo photographs that were taken in Hinton Waldrist, under the title “Scenes in Our Village”. When viewed through a “stereoscope” which presents one of a pair of images to each eye, the scene appears in glorious 3D. 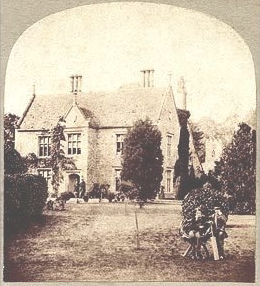 Williams never identified the village in which the photographs were taken, beyond the fact that it was in Berkshire. Brian May, formerly guitarist with Queen, has been an avid collector of stereo photographs by T R Williams for many years. Originals are now very rare, but with much painstaking research May has been able to assemble as near a complete collection of the Scenes series as is believed to exist anywhere. He also worked hard to try and identify the village depicted in Scenes, visiting many villages in Berkshire to try and match the photographs to present-day reality. However it appears that he hadn’t realised that, with the county boundary changes in 1974, a large number of Berkshire villages were now in Oxfordshire. Having failed to identify the village featured in Scenes himself, he decided to try a different tactic. Realising that the church featured in Scenes was probably still standing, he published the T R Williams photograph of it on his Web site and appealed to anyone who could identify the church. Within 36 hours, a number of people had correctly identified the church as St Margaret’s in Hinton Waldrist, and the mystery was solved. The power of the Web! 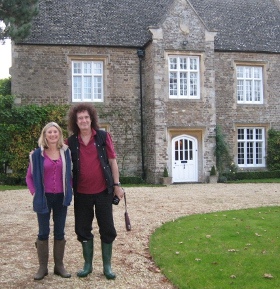 Brian May wrote about his discovery in Stereo World magazine in 2004. He made a number of visits to Hinton to research a book he was writing about the Scenes in Our Village photographs. He finally published A Village Lost and Found in 2009. This beautiful book includes reproductions of the entire series of Scenes in Our Village, together with a stereoscopic viewer so you can see the brilliant 3D effect achieved by T R Williams. It’s an extraordinary document of village life in mid-Victorian times, depicting a wide range of people, buildings and places in Hinton and Duxford, and linking up with their modern day locations. It makes a fabulous gift for anyone living in Hinton with an interest in history (and no, we are not getting a commission for writing that! ).